When you book your Indian Rocks Beach and Indian Shores vacation rental, you and your family are not only in a prime Gulf beach vacation destination, you're also minutes away from family fun every night of the week. Check out some of the free family fun to be had here on the Gulf Coast! Sunsets at Pier 60 is a daily festival that occurs over the sunset hours (be sure to check the festival's website for current hours as they vary throughout the year). 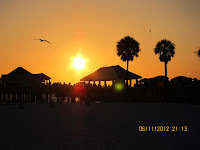 It has become a Clearwater Beach tradition and is definitely a local hot spot. This time of year the festival hours run from 4-8p.m. every night of the week in Pier 60 Park on Clearwater Beach. The Sunsets at Pier 60 Festival is a free family event popular with both visitors and locals alike. 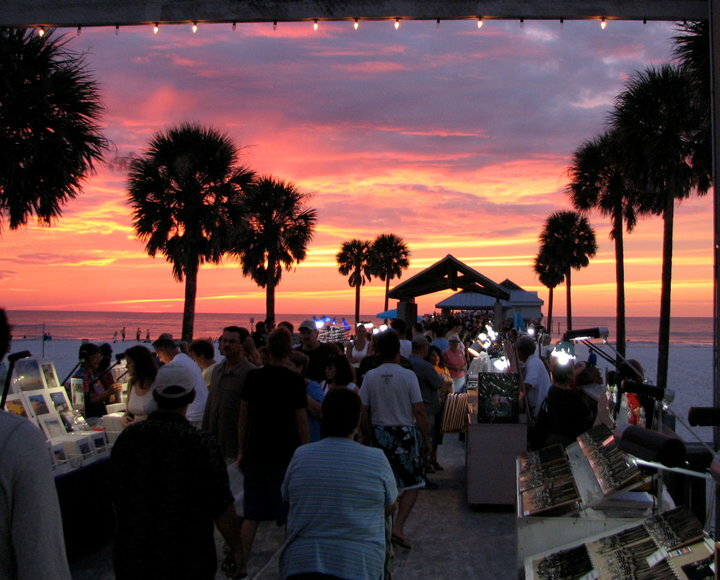 Set against a stunning Gulf Coast sunset and lined with swaying palm trees, you'll find artisans, street performers, musical entertainment, and so much more. There's a little something for everyone with plenty of activities for the kids, too. The park is located right on the beach and its surrounding amenities—a playground, pavilions, concessions, and winding walkways—add to the draw of the festival. Fly a kite, play some volleyball, or just stroll the sandy shores; there's plenty to see and do here. There is a parking lot just south of Pier 60 where parking is available at an hourly rate. Additional parking is also available further south along the beach. The nightly festival is weather-permitting. Another free family event can found every Friday and Saturday night at Clearwater's Pier 60. Grab a beach blanket or your favorite low-sitting beach chair and bring the family out to the Sunset Cinema. Enjoy a family-friendly movie on the big screen while being surrounded by a warm Gulf breeze and feeling the sand between your toes. Popcorn and soft drinks are available for purchase, so your movie night is complete. This weekend on Friday, January 18 the featured movie is Cirque de Soleil - Kooza (appropriate for all ages). Saturday, January 19 the movie Dark Shadows (PG-13) is featured. The Sunset Cinema showings begin around 6p.m. this time of year. For a full listing of featured movies and to check on the latest show times, visit the Sunset Cinema's movie schedule. The Sunset Cinema is weather-permitting. 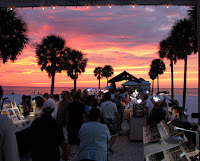 Have you been to the Sunsets at Pier 60 Festival or the Sunset Cinema in Clearwater? If so, tell us about it in our comment section! We always enjoy hearing from our readers.